At the School of Earth and Environment, you’ll be engaging with an international community of scientists and social scientists. You will be taught by lecturers working at the forefront of their specialism who bring knowledge and passion to their subjects, and your lectures will be based on research that is happening now. Our academics lead international research across earth and environmental sciences, with links to society, business and policy. We host national centres in Atmospheric Sciences, Climate Change Economics and Policy, Industrial Energy, Materials and Products, and Polar Observation and Modelling, and co-hosts the National Centre for the Observation and Modelling of Earthquakes, Volcanoes and Tectonics. You’ll have access to excellent teaching and research facilities, both within the School and as part of the University. Our research is carried out within five institutes, representing our core research areas, but much of our work is cross-cutting, tackling complex global challenges such as climate change, energy security and natural hazard management. • The Earth Surface Science Institute (ESSI): is advancing understanding of Earth surface processes, both in modern and ancient environments. 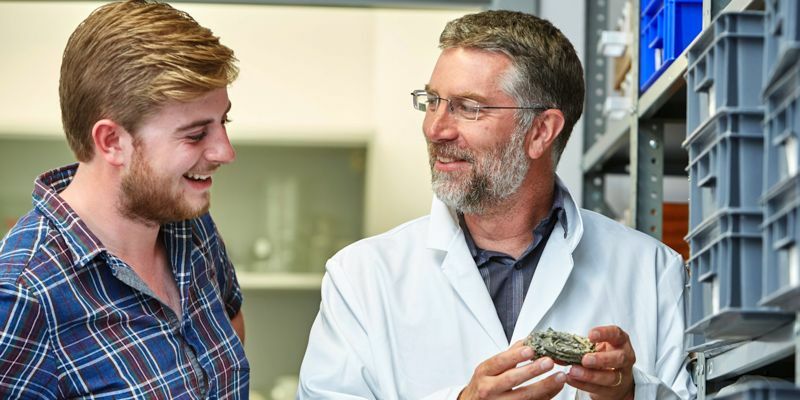 The institute’s research strengths lie in environmental geochemistry, reconstructions of past environments, biological evolution and extinction through Earth history, palaeoclimate and biogeochemical modelling, experimental, isotope and organic chemistry, and water and land quality. • The Institute of Applied Geoscience (IAG): researches fundamental geoscience with application and impact towards energy, environmental, industrial and infrastructural problems. • The Institute of Geophysics and Tectonics (IGT): focuses its research on a wide range of disciplines including geodynamics, structural geology, geomagnetism, geodesy, seismology, igneous and metamorphic petrology, isotope geochemistry, hydrothermal processes, and volcanology. • The Institute for Climate and Atmospheric Science (ICAS): is advancing our understanding of climate change, weather, atmospheric composition, palaeoclimates, and impacts on our planet and society. • The Sustainability Research Institute (SRI): researches environmental social sciences, drawing on aspects of geography, sociology, politics, planning, economics, management, development studies, and science and technology studies.